So stop by Cattlemen's Steakhouse, smack in the middle of Oklahoma City's Stockyards City, and soak in the rich atmosphere that has made us a favorite destination of anyone who's pulled on a pair of ropers! From The Food Network's Guy Fieri and Travel Channel's "Man Vs. Food," to respected magazines like Bon Apetit and Southern Living, you can read all about what other's have to say about the Winner of the Oklahoma Gazette's "BEST STEAK" Award. Why Not Have a Beer With Your Meal! 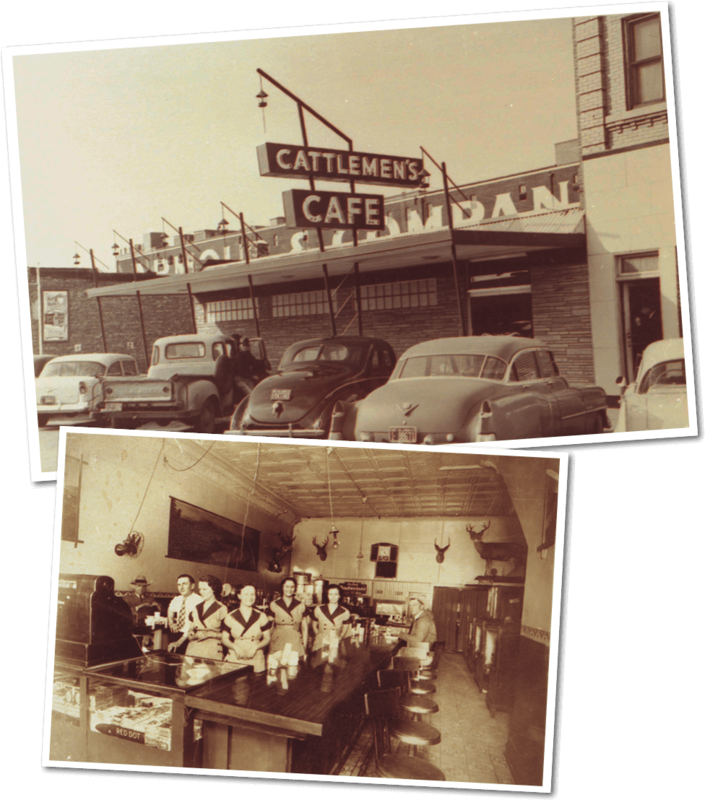 Almost since statehood, Cattlemen’s Café has opened its doors to hungry cowboys, ranchers and cattle haulers. Cattlemen's flourished, and as one of the few places that stayed open after sundown became known for its “colorful” clientele and home-brewed beverages throughout prohibition. 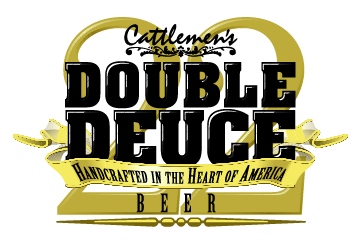 In fact, Cattlemen’s Double Deuce brand beer of today is a throwback to the prohibition days, when handcrafted was the only option. Double Deuce beer is made for us by another Oklahoma pioneer family from Krebs. Today Krebs Brewing, began at Pete's Place by the Prichard family. It now proudly brews beers for world wide enjoyment under the Praire Artisan Ales brand! In 1945, Cattlemen’s was owned by Hank Fry, a gambler of sorts. Late one night in a smoke-filled room at the old Biltmore Hotel in downtown Oklahoma City, Fry was running out of luck and money. In an act of desperation, Fry wagered Cattlemen’s Steakhouse against the life savings of Gene Wade that he could roll a “hard Six” (two 3’s). With that one roll of the dice, Gene Wade became a restaurateur! The “33” brand still hangs on the west wall of Cattlemen’s Hereford Room as a symbol of Wade’s good fortune. 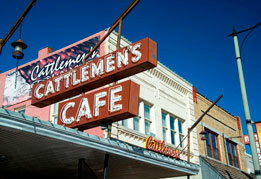 Today, Cattlemen’s continues to improve with age, and has become an Oklahoma City landmark. Cattlemen’s flavorful steaks and colorful history continue to draw new fans from movie stars to rodeo greats to presidents.